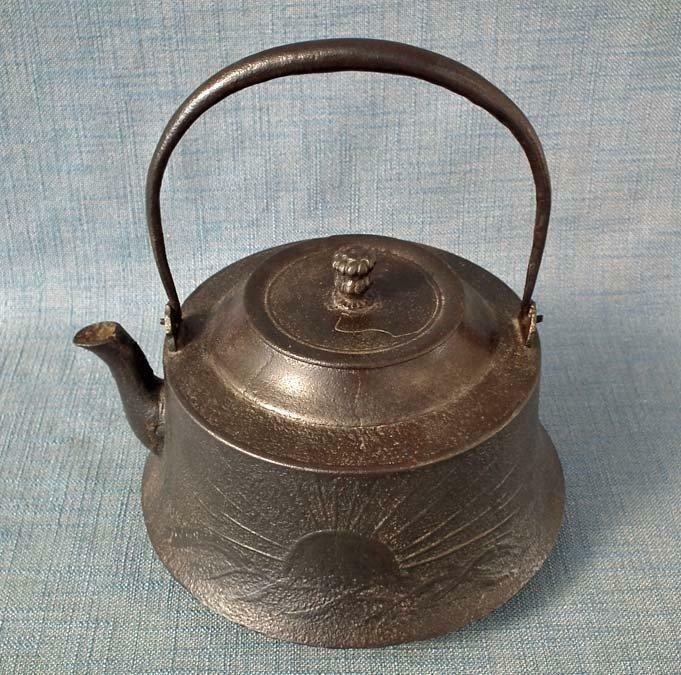 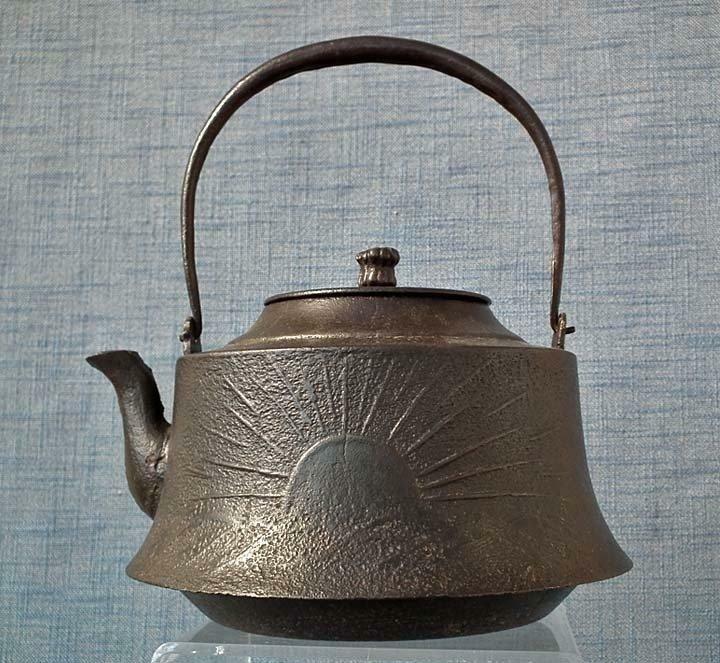 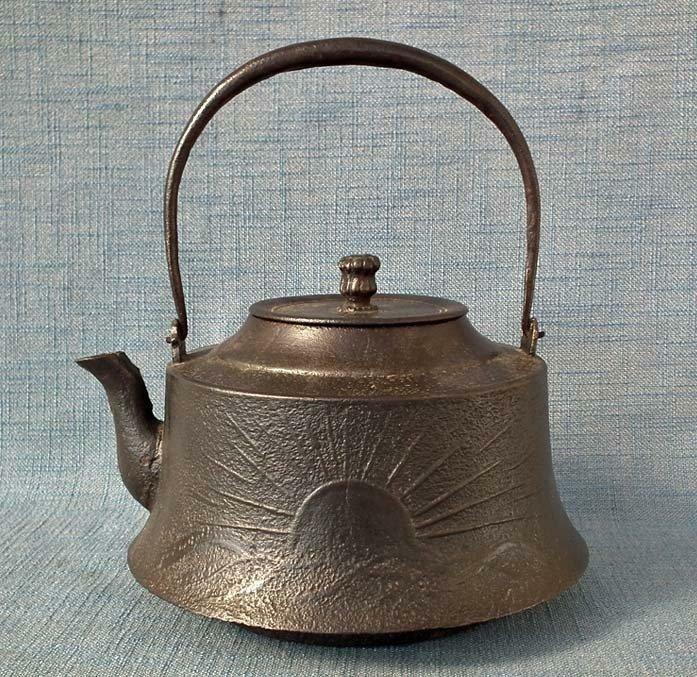 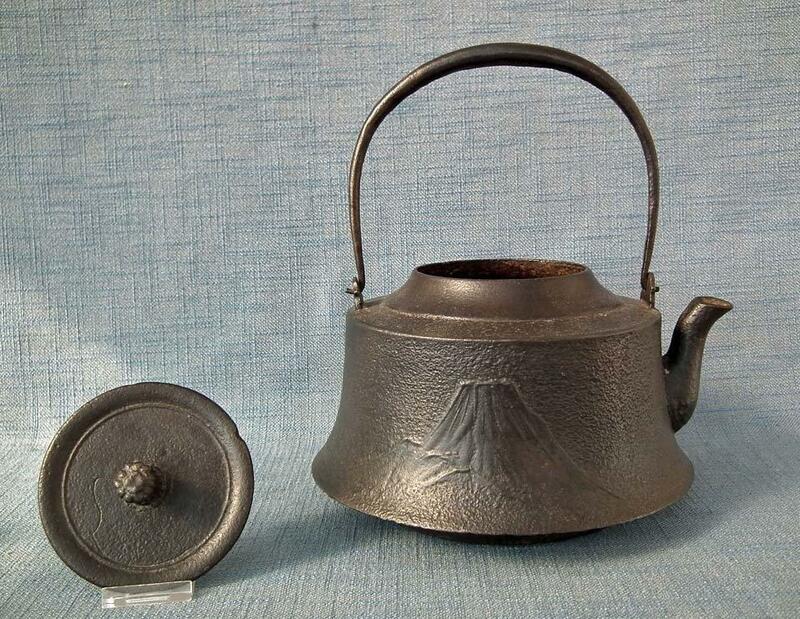 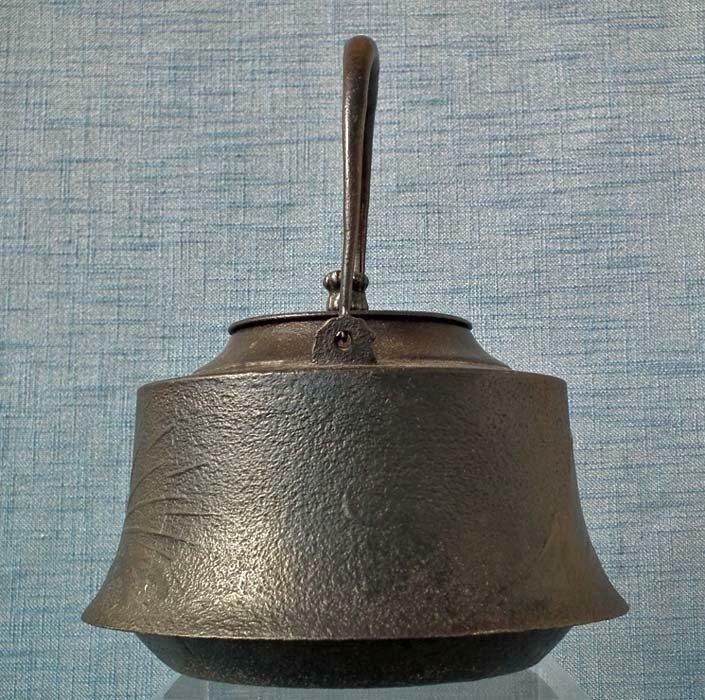 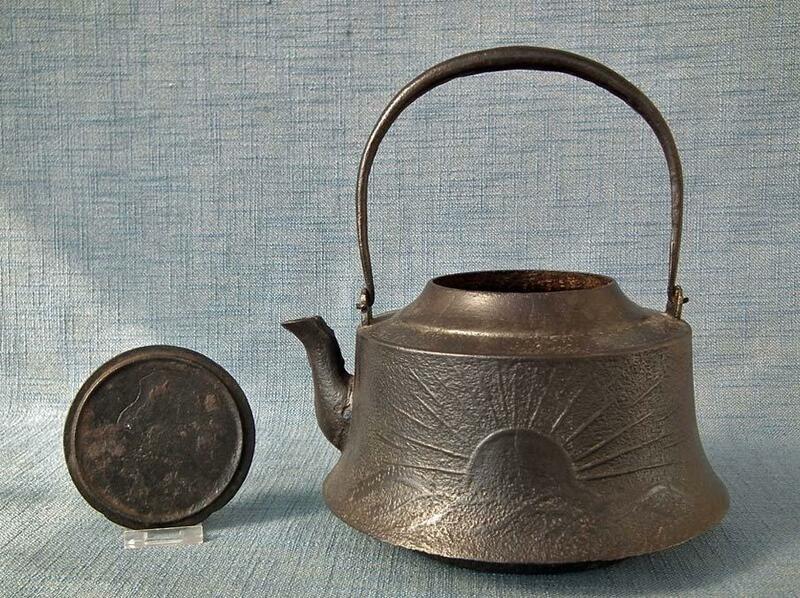 Antique Japanese 19th century Meiji Period large cast iron Teapot Kettle Tetsubin .The tsurigane bell shaped body decorated in low relief design with Mount Fuji and rising sun, the lid surmounted with bud-shaped finial. 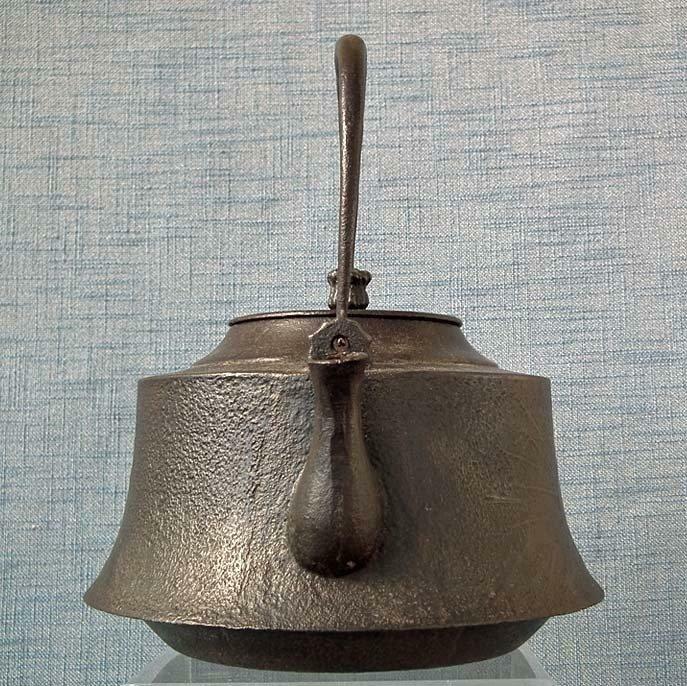 The stationary hollow handle is formed of hand forged wrought iron. 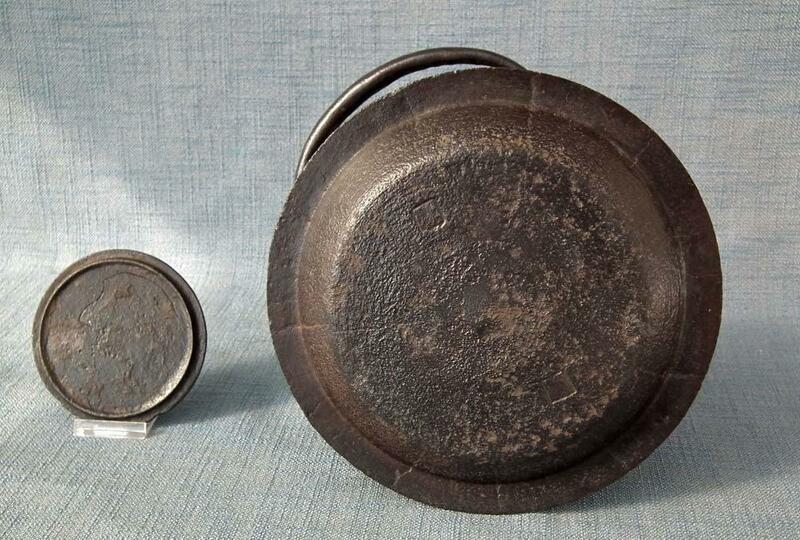 CONDITION: It is in good condition with no repairs, chips, nor cracks.